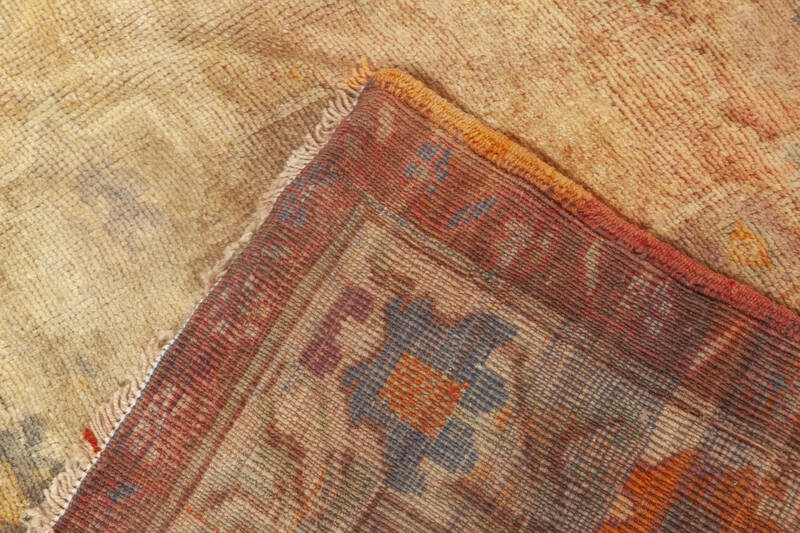 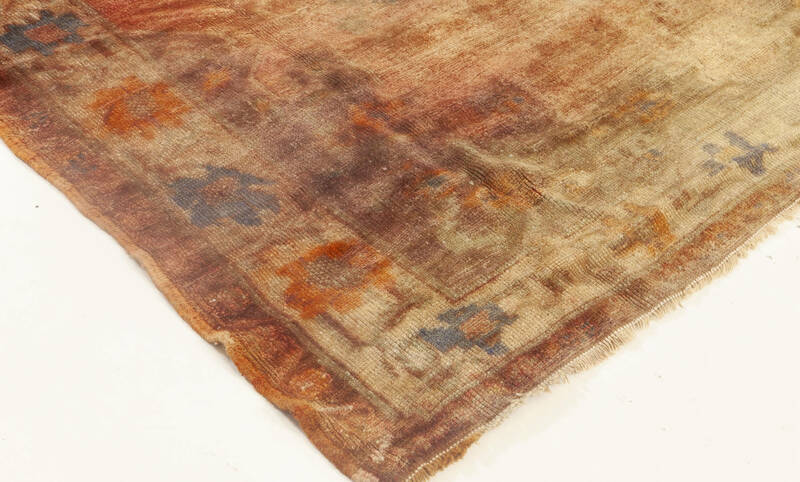 Oushak rugs are traditionally classified as Anatolian, meaning that they come from Anatolia in Turkey. 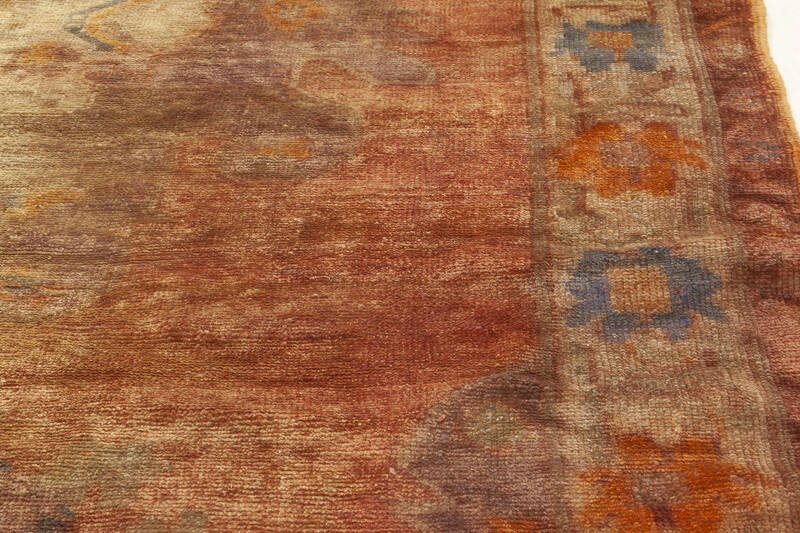 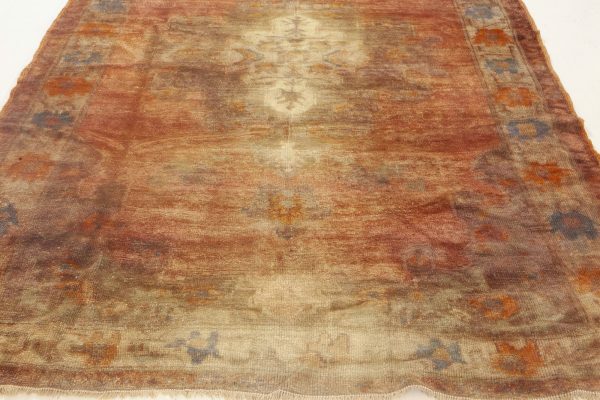 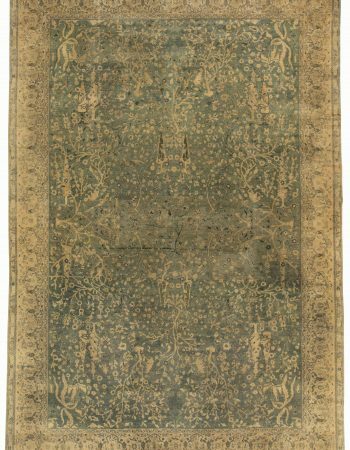 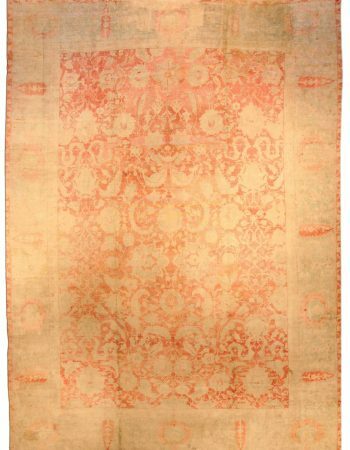 Antique Oushak rugs are especially famous, since they appear on several famous Renaissance painting. Antique Turkish rugs are highly sought after by art collectors and museums due to both their beauty and historical value. Turkey is known in the world as one of the greatest Oriental rug producers. 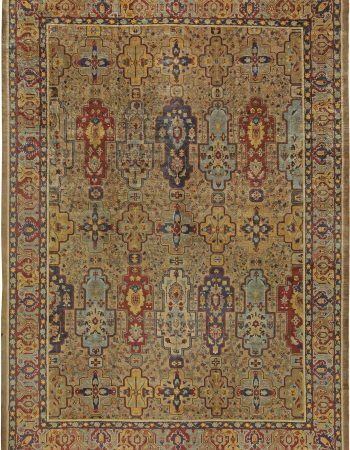 This fascinating Oushak rug immediately draws the attention thanks to its color palette. 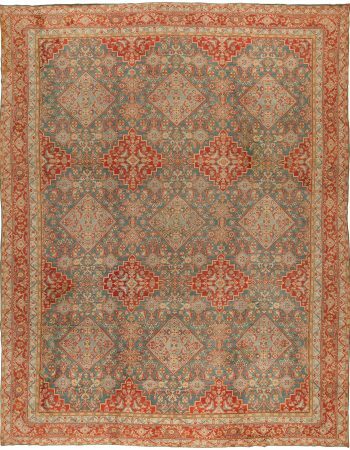 Woven in the mid 20th century, circa 1950, the rug sports a pattern characteristic for traditional Oriental rugs. 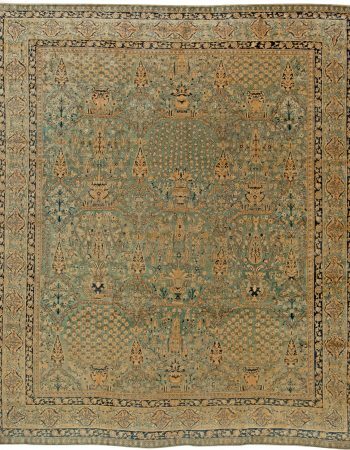 The central medallion is accompanied by two smaller ones and the whole is bordered by a frame with a geometric design. 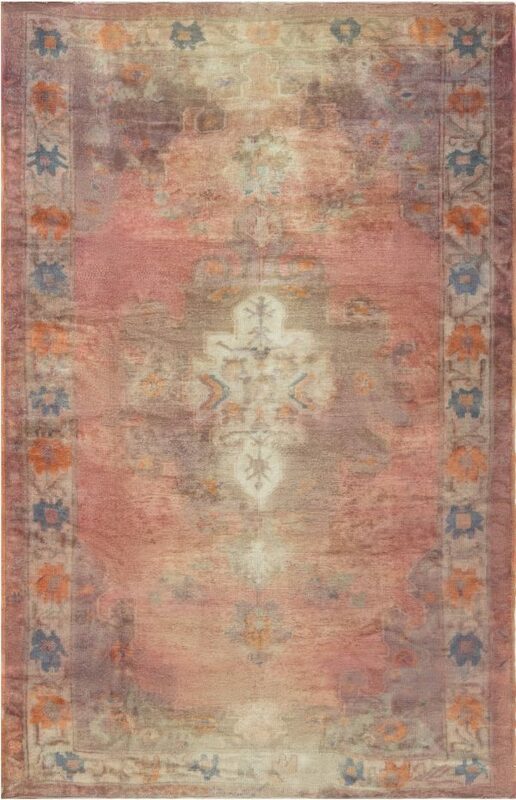 The color palette features vivacious shades of red, pink and blue, smudged in a similar way to a watercolor painting. Here at Doris Leslie Blau we are proud to supply our clients with best quality rugs from all over the world and few other types of carpets, be it antique rugs or contemporary rugs can even compare to the natural elegance of vintage rugs. 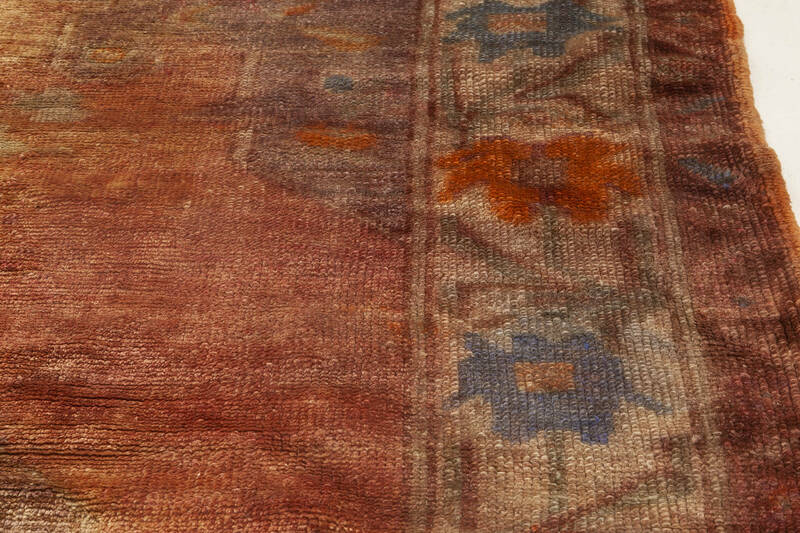 We are proud that our wonderful rugs are regularly featured in the most famous interior design magazines, such as Elle Decor.